Athens in Greece is perfectly located to island hop several of the Greek islands which lie nearby. The perfect cruising partner for the luxury traveller is Calypso Cruises with their brand new luxury cruise boat. Calypso Cruises are keen to share their love and passion for Greece and the Greek Islands. Their cruises take place onboard ‘Calypso’, a new luxury cruise boat with 140 seats. The boat is divided into the upper deck, the inner living room and the outdoor lounge, all of which are ideal for individuals and groups. Calypso Cruises offer a selection of escorted tours, independent cruise packages, and build-your-own private travel itineraries. 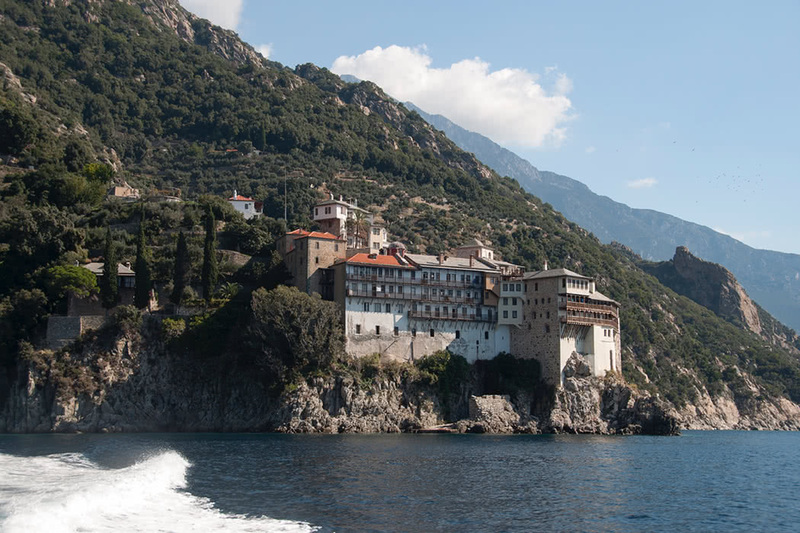 They mainly sail the waters surrounding the beautiful island of Halkidiki and Mount Athos, pausing to cast anchor at some beautiful locations and give you some wonderful memories. You can also take a cruise at sunset for an extra romantic occasion and if you are celebrating a special occasion, they will happily hold events on board. 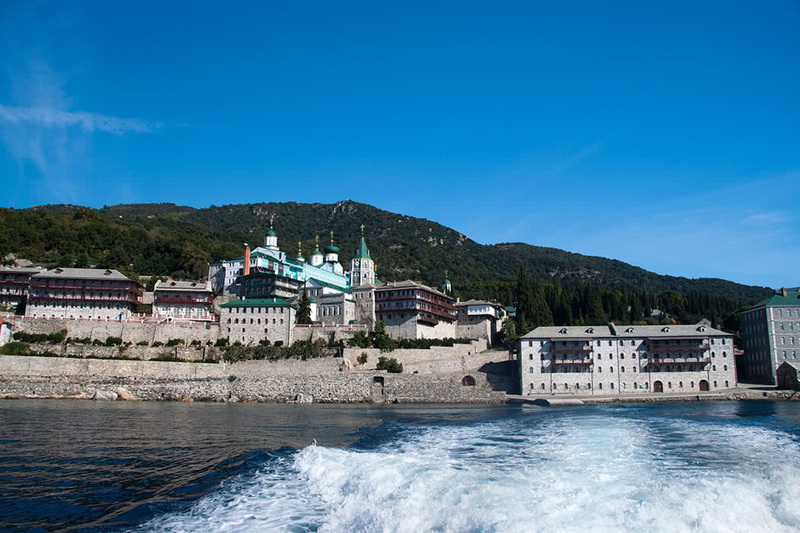 This cruise is the embodiment of relaxation. 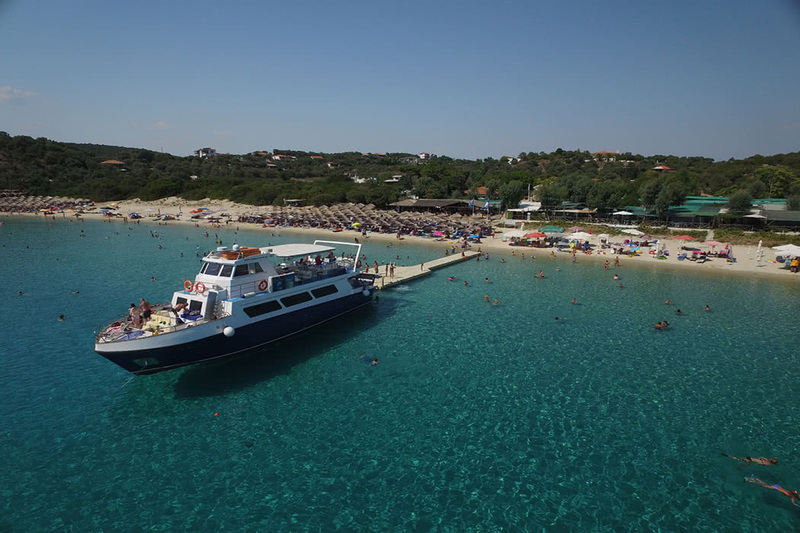 Dive straight from the boat, swim in crystal clear Greek waters, sunbathe on sandy beaches and explore the underwater world with some gentle snorkelling. You visit some of the very best beaches on Halkidiki, swim the famous blue waters, explore secluded coves and snorkel stunning reefs; all unique and unforgettable experiences. The cruise can depart from Ormos Panagias in which case it last for 7 hours or from Ouranoupolis in which case you are looking at a 9 hour cruise. 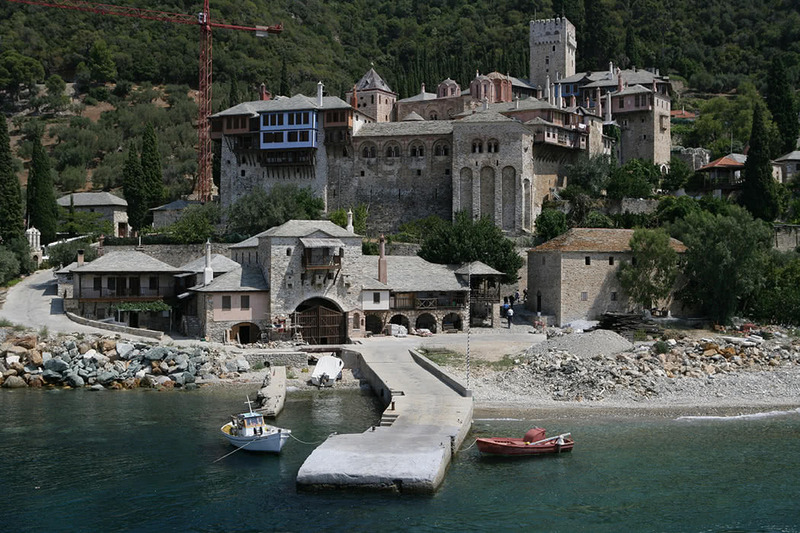 Leaving from Ouranoupolis, this cruise takes you to the magnificent from UNESCO World Heritage site of Mount Athos. 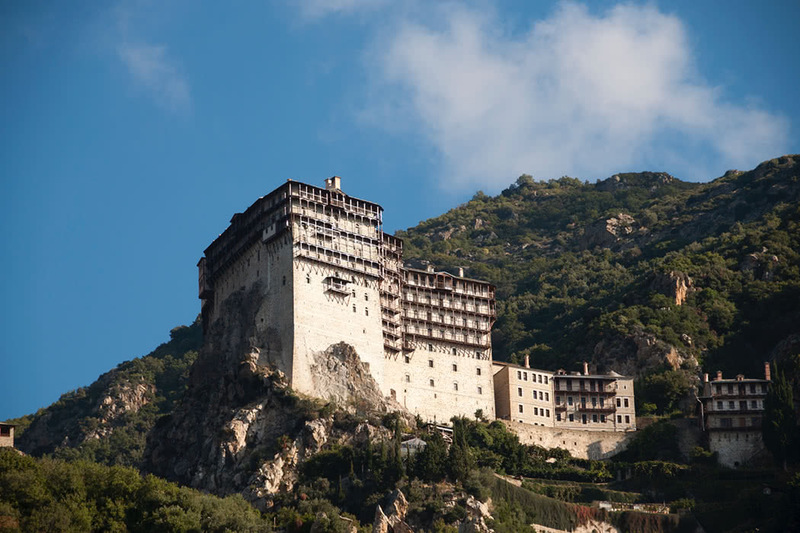 The stunning Byzantine monasteries there are perched on almost unreachable rocks and peaks over the Aegean Sea. Arriving by sea is a very special experience and adds to the spiritual aura that surrounds this secluded site. 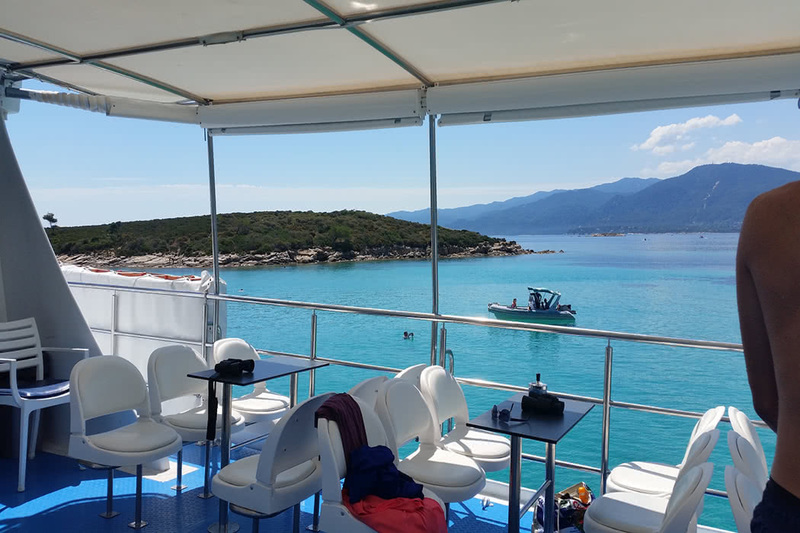 The cruise lasts for 3 hours and gives you time to relax on board with a glass of ouzo accompanied by a Greek appetizer or two and visit the boat’s bridge for the perfect photograph of you with the captain! There’s even a shop on board so you can buy some charming souvenirs to always remind you of your cruise.